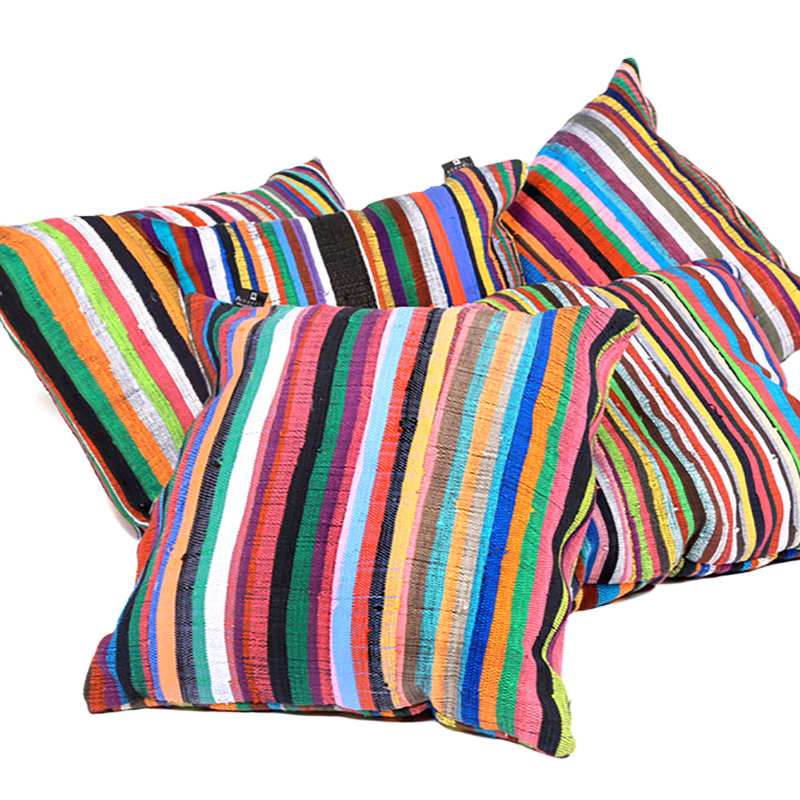 Brighten your work, play, or rest space with our Pumla scatter cushions, quilted from strips of our signature fabric. Made with different colour combinations on either side – have fun flipping your Pumlas to suit your vibe. 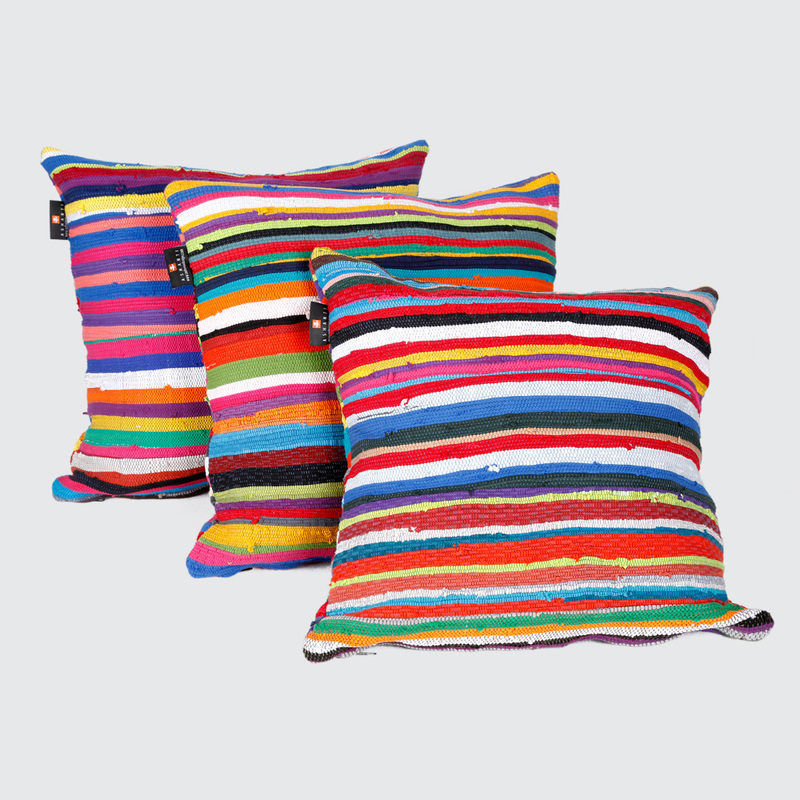 Available with a quality upcycled inner cushion, or flatpacked as the cover only. sales and new products. Sign up here. Copyright © Ashanti Design 2019 | Our Terms. Notify me when 0 Pumla 50x50 is available.